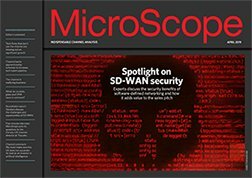 The security spotlight has been firmly on ransomware for the past year but there are suggestions that resellers need to start working with customers to make sure that the defences against DDoS attacks are holding firm. With DDoS rising again in popularity as a form of attack, firms of all sizes are in the cross hairs as cyber criminals look to use denial of service as a chance to extort a ransom, damage brand and create a diversion as part of a multi-layered assault on the network. Marc Wilczek, managing director at Link11, said that digital transformation meant that there were almost no businesses that were not dependent on the web and that meant DDoS attackers had many more targets to go for. "As organisations go digital every single business sooner or later is exposing themselves to much greater dependency on the availability of their IT infrastructure and exposing themselves to a whole new suite of risks," he said. "Everything is becoming interconnected with IOT, connecting multiple cloud to one another and mobile computing. The IT landscape overall is changing fundamentally and because of that we are now seeing an unprecedented number of attacks and frequency, size of the attacks and they are becoming more complex," he added. The firm has been monitoring the market and seen an increase of 10% in the number of DDoS attacks between Q4 and Q1, with an average of 160 a day. Link11 has started to recruit channel partners to focus on an addressable market in the UK it believes is worth £103m this year, rising to £195m by 2021. Bytes SP has signed up as the first VAR and Aatish Pattni, regional director UK and Ireland at Link11, who has joined from Check Point, said that it was in discussions with four or five more and expected to sign some of those soon to spread the message about DDos to more customers. "The cost of launching a DDoS attacks has dropped considerably. We talk about the benefits of automation and AI for us but sadly the same thing applies for the [criminals]. We are very quickly approaching an inflexion point where DDoS as an attack vector for extortion overtakes ransomware," he said. Others dealing with the DDoS issue have also been sounding the call for more action by the channel to step up the fight against the threat. Ronald Sens, EMEA director, A10 Networks, said that the cost of launching an attack had come down and was now being offered as a service with the number of targets for criminals was significant. "Such a service meant that criminals could flood servers with traffic for as little as $18 per month. With no technical expertise, criminals were able to launch around four million DDoS attacks against a wide range of targets, such as banks, government agencies and private companies. For the victims, around a third of downtime is due to DDoS attacks," he said. "These attacks are becoming bigger, more frequent, and more sophisticated. The explosion in the use of the cloud, the digital transformation that many companies are undergoing, benefits both victim and attacker," he added.